Photo: Frasera albomarginata, rosette of leaves. Eastern Mojave Vegetation Frasera albomarginata, rosette of leaves. This rosette, about 6 cm across, is growing in loose rock. 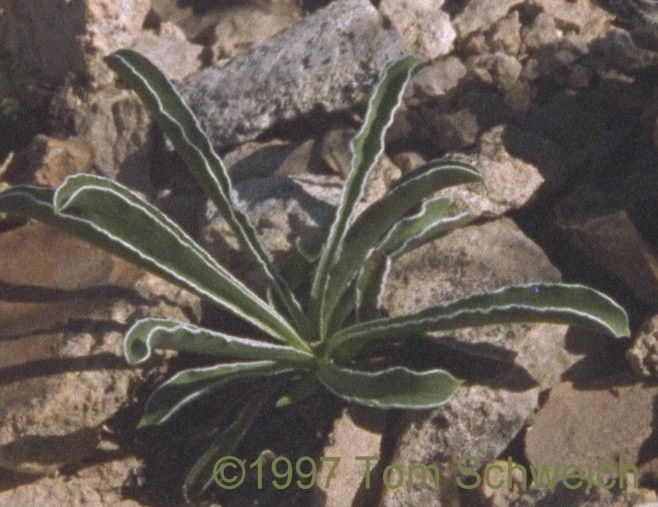 Autecology of Desert Elkweed Frasera albomarginata S. Watson (Syn: Swertia a.) Gentianaceae in the American Southwest: Introduction. Other photos about Frasera albomarginata or Flower.